Two new yarns and a pencil roving created for hand knitters. Tools for the Lunar New Year, quick-to-knit pattern booklets and more. 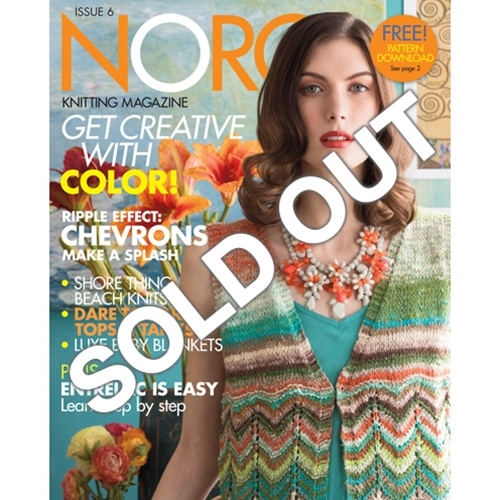 Noro's undulating colorways and airy openwork stitches are a match made in fiber heaven. These lacy looks are a shore thing. Scarves, cowls, hats, bags: Hot accessories for spring and beyond. The entrelac technique shines a spotlight on Noro's rainbow hues. Classic shapes that are all about comfort and color. Summer-ready looks that do the wave with retro flair. Heirloom blankets to perk up a nursery.